Commercial fences can change the way you do business. Looking for a commercial fence can be a challenge, especially if you are a small business owner. Running your business and looking for the right fence isn’t impossible when you consult fencing experts like the ones at Hercules. We can help you find the right fence, for the right price. Now, before you call, we can walk you through some easy essentials in this blog. Are you ready to learn more about how to find the right commercial fence? Let’s get started! The right commercial fence fits your budget. The best thing to do no matter what kind of fence you are looking for is determine your budget. A budget is going to make the process of setting up and installing your fence much easier on you and on us. After you have determined a budget, you can consider the things you need in your fence. Do you need something that is crash-tested? Do you need something with anti-climbing technology? What about a controlled access point? Figure out which features are absolutely necessary and which ones you can live without. This will help us give you a more accurate pricing estimate. The right commercial fence will protect your facility. Your facility is your livelihood, and it is the livelihood of your employees. Protecting your facility is essential to the safety of that livelihood, and that is very important. Assess the area your facility is located in and adjust your protection plan accordingly. 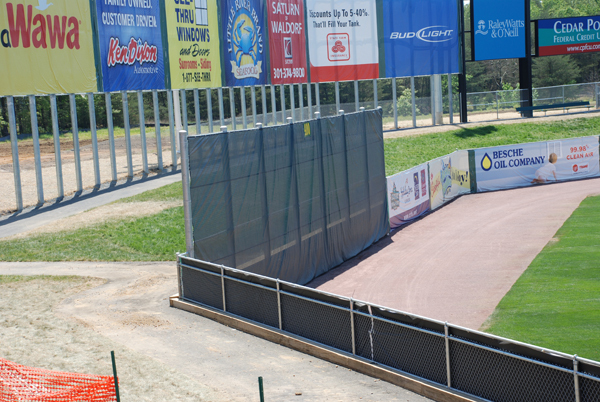 Do you have more questions about your commercial fence? We’ve got answers. This entry was posted on Monday, August 24th, 2015 at 2:18 am. Both comments and pings are currently closed.